Lionel Andrés “Leo” Messi Cuccittini born 24 June 1987 is an Argentine professional footballer who plays as a forward for Spanish club FC Barcelona and is the captain for the Argentina national team. Messi helped Argentina win the 2005 FIFA U-20 World Cup, finishing as both the best player and the top scorer (with six goals). In 2006, he became the youngest Argentine to play and score in the FIFA World Cup, and won a runners-up medal at the Copa América in 2007, in which he was named young player of the tournament. In 2008, he won an Olympic Gold Medal with the Argentina Olympic football team. 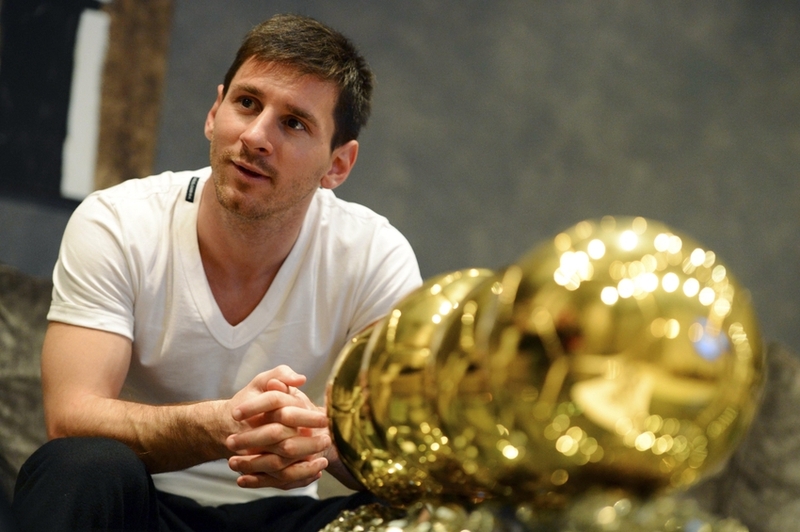 At the 2014 World Cup, he led Argentina to the final, winning four consecutive Man of the Match awards in the process, and received the Golden Ball award as the best player of the tournament. In 2013, SportsPro rated him the second-most marketable athlete in the world. His playing style and stature have drawn comparisons to compatriot Diego Maradona, who himself declared Messi his “successor”.